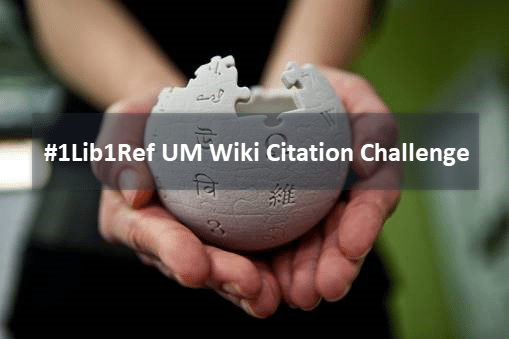 Maastricht University Inner City Library, will be hosting a Wiki Citation Challenge on 4 February as part of #1Lib1Ref Wikipedia worldwide Campaign. Please note: entrance is free. make Wikipedia a more reliable source for readers all over the world. Prerequisites: Bring your own laptop!